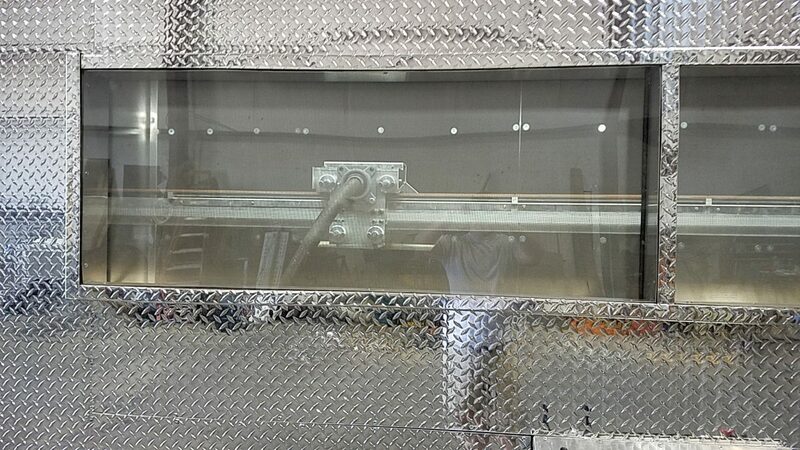 Now the SandHandler Sandblast Booth has design improvements! 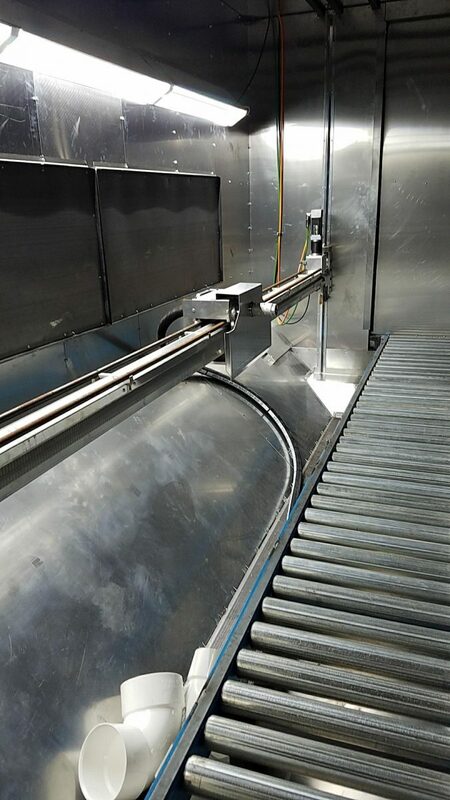 First, we’re excited about a new servo motor mechanism which makes for a smoother operation. Another cool update is replacing those rubber tires on the vertical travel. Remember that you sometimes had to inflate them? They are now replaced by no-maintenance V-wheels! 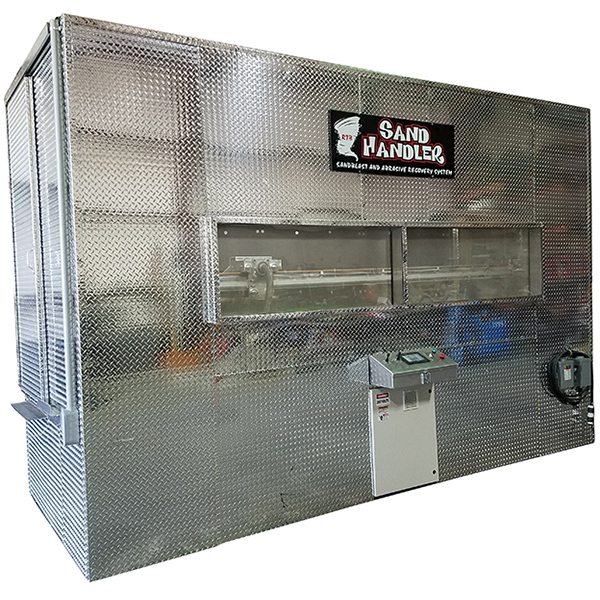 SandHandler Sandblast Booth still has all the performance that a fully contained, fully automated blast room and recovery system affords. There are so many benefits to this – both to the employee using it as well as to your bottom line. View our Information Sheet or Resource page. Thanks to our customer who took these great pictures. Hey all customers, our video is old and outdated – send us a video of your sandblasting operations! We’ve got a smooth new servo motor system and an updated vertical travel which requires less maintenance – V-wheels replace the former rubber tires. Talk to Ronnie In Elberton, JP in Barre, or any of the guys at our locations listed below.